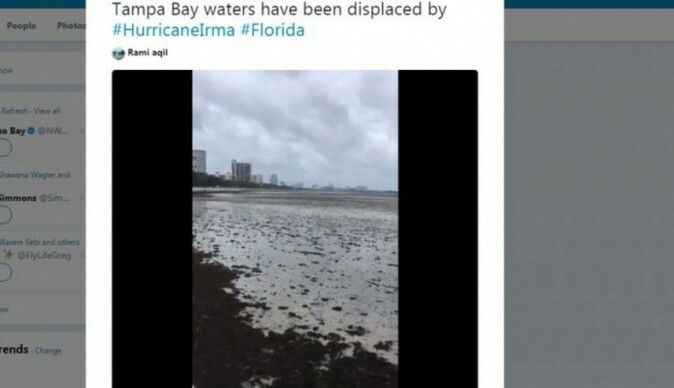 Florida’s Pensacola Bay was turned into a “giant sandbox” by Hurricane Irma over the weekend. A woman captured a video of the phenomenon. “The water is gone,” the woman says in the clip. “There are people out … people have metal detectors. People are walking in the mud,” she said. It was nowhere near where Irma came into Florida. The storm hit the Florida Keys on Sunday morning, according to the U.S. National Hurricane Center. Pensacola Bay is located on the far western end of the Florida Panhandle in the north—near the Alabama border. The water was seen receding from Pensacola Bay on Monday, Sept. 11. 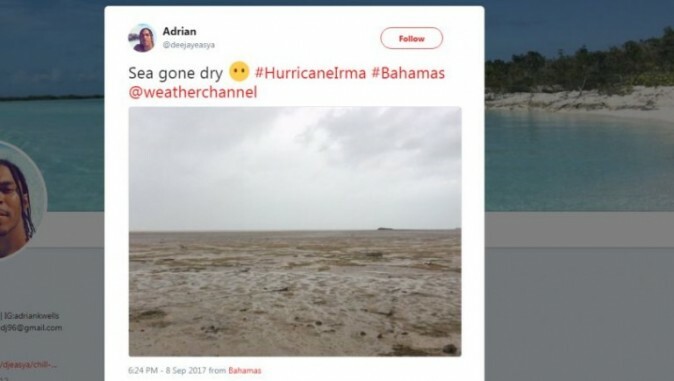 Irma sucked water from areas around the Bahamas and Tampa Bay, which prompted a warning from local officials after people started walking out in the bay. Irma weakened to a tropical storm on Monday, and it’s now just a tropical depression. It carved a path of destruction up the Florida Peninsula and moved into the southeastern United States. At least 10 people were killed in Florida. A local Florida official said there had been more deaths yet to be reported, particularly on the Florida Keys, where Irma arrived as a Category 4 hurricane with sustained winds of up to 130 miles per hour on Sunday morning. 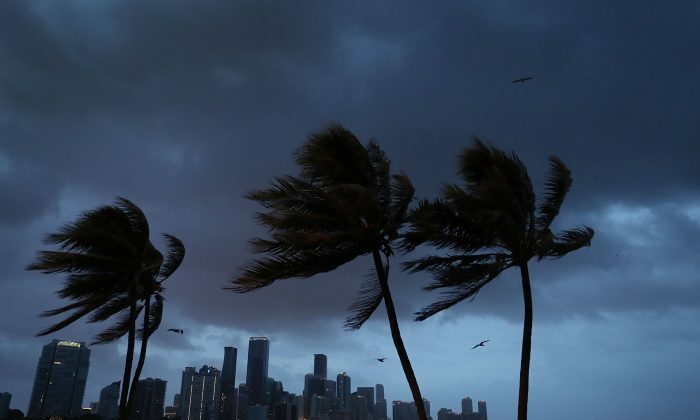 Local authorities told around 90,000 residents of Miami Beach and from some parts of the Keys they could go home but warned it might not be prudent to remain there. “This is going to be a frustrating event. It’s going to take some time to let people back into their homes particularly in the Florida Keys,” Brock Long, administrator of the Federal Emergency Management Agency, told a news conference.